Morph Fire is a revolutionary converter, turning your paintball gun into an insanely powerful 600 fps BB machine gun. That's some serious awesomeness. So as you can imagine, the team at Morph Fire takes the word "awesome" pretty seriously. And they know awesome when they see it. Website Pipeline with its Sage 100 ERP integration was a great way for us to accomplish both of these goals. 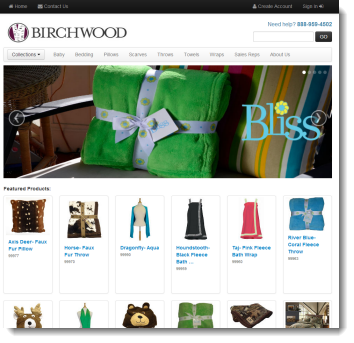 “Our company, Birchwood Trading, was looking for someone who could create a sharp and attractive looking website for our wholesale home textiles business. We wanted to use the website as a tool to attract new customers and also make the ordering process more convenient for our existing customers. In addition to making things easier for our customers, we also wanted to make things easier on ourselves by automating as many non-value added activities as possible. Website Pipeline with its Sage 100 ERP integration was a great way for us to accomplish both of these goals. During the development of our website, Website Pipeline’s team was very helpful and enthusiastic about our project. Dan Pennell, our project manager, was extremely dedicated to get our website launched on time and looking and functioning exactly the way we wanted it to. It was very reassuring to have someone at WSP who was just as passionate about our website as we were. In this episode Ed Kless interviews Brian Seidel, CEO and co-founder of Website Pipeline about how his company is to small and medium businesses what the ATM was to banks. By Brian Seidel, President/CEO of Website Pipeline, Inc.